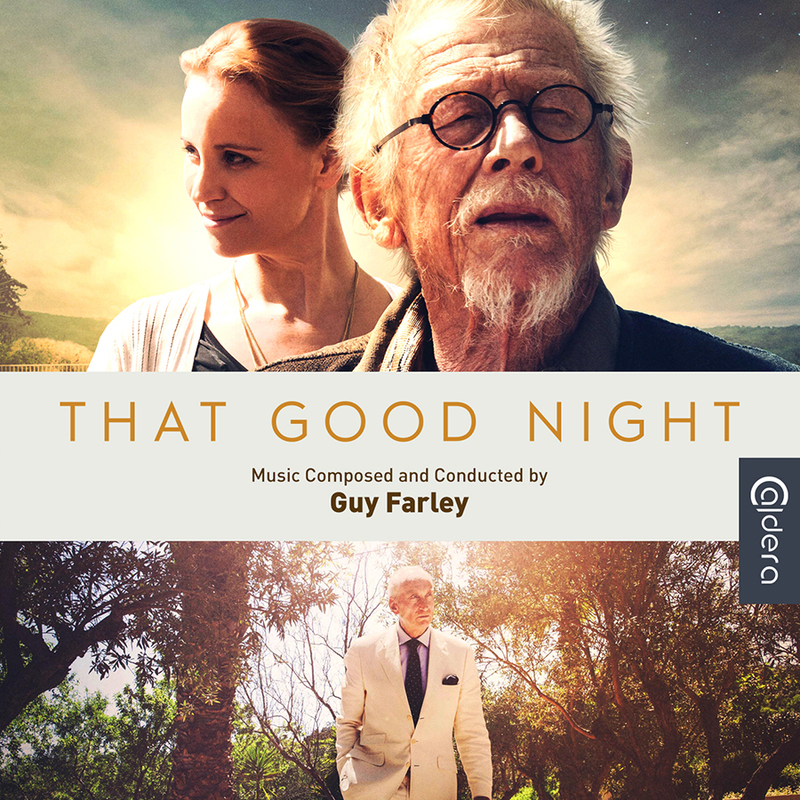 The music for “That Good Night” was written by Guy Farley (“Modigliani”, “Maria di Nazaret”). 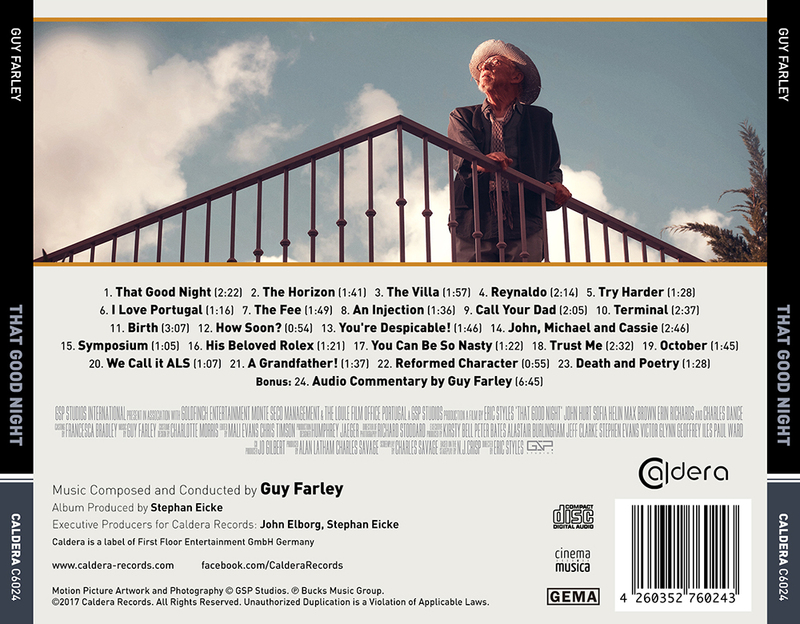 Farley provided an elegant underscore, recorded with a small orchestra of strings, woodwinds, harp, piano, and world instruments such as a Cavaquino, Spanish guitars, an accordion and ethnic percussion which capture the Mediterranean flavour of the Portuguese Algarve, while the chamber orchestra works its magic on the emotional element of the story. The score, one of Farley’s best to date, is filled with memorable themes and motifs that are both uplifting and touching, paying tribute to the character’s struggles and the film’s hopeful message.